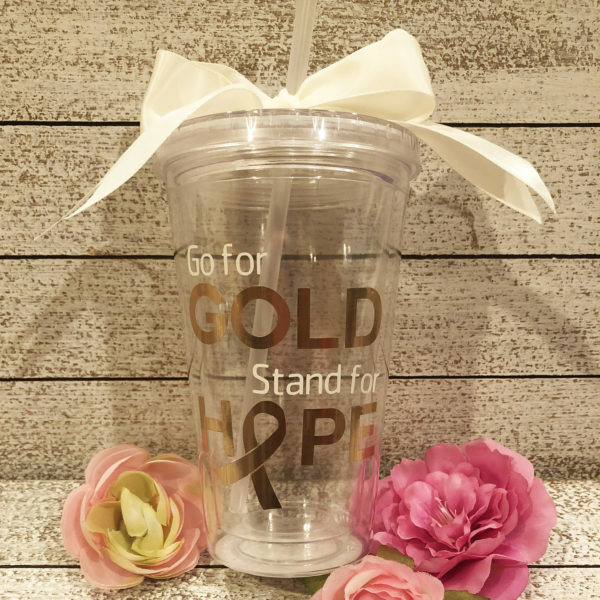 “Go for GOLD, Stand for HOPE” Childhood Cancer Awareness Tumblers. The double-wall design prevents condensation from forming on the outside while your drinks stay cold. 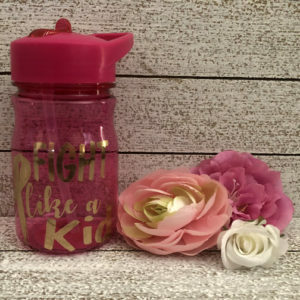 Each tumbler has a screw-on top and straw that make them great for a drink on the go. 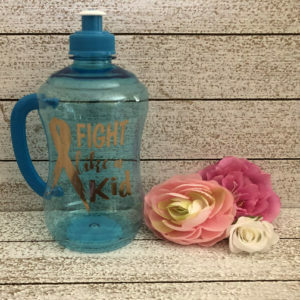 A must have for road trips, the beach, sporting events, picnics, and more! 16-oz. Double-Wall Clear Plastic Tumblers.